I don’t know much about Len Smith, but one thing I DO know is he is passionate about rebasing over merging. 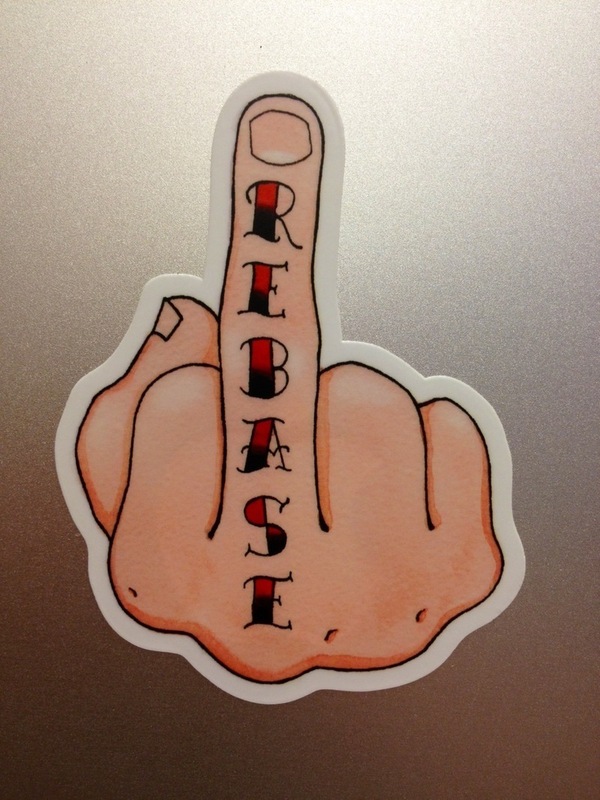 So passionate that he gave me the finger when I told him I tend to merge instead of rebase. These stickers were inspired by his reaction. I commissioned Michele Melcher to do this illustration and got the stickers made at Stickermule. I couldn’t be happier with the results.